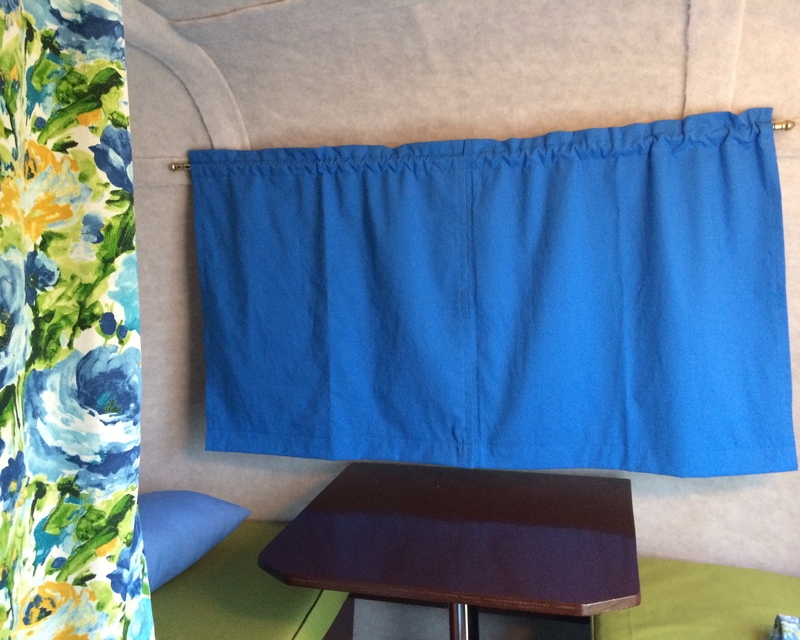 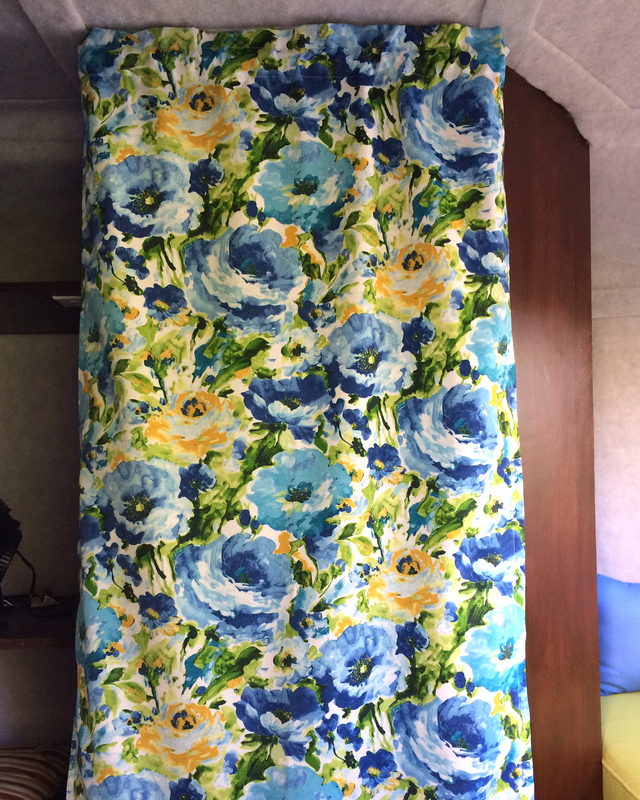 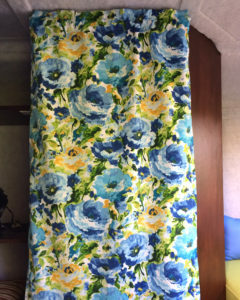 I used a solid royal blue fabric for the curtains on the larger front and back windows. While the formula for calculating the size of curtains is the window width times 1.5, divided by 2 (for 2 panels), I tried that for the front window and they just seemed too heavy and bulky (and short). 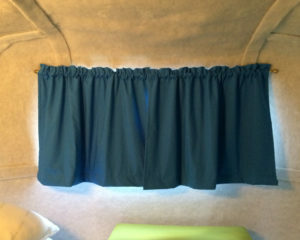 I then made the curtains for the front window, purposely making them narrower and longer than the curtains for the back. 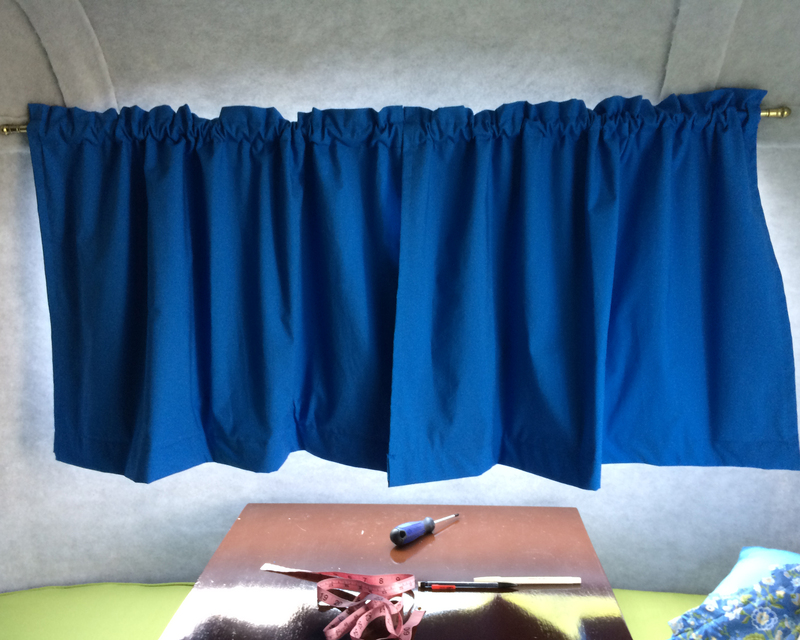 No, they don’t “drape” as well as the ones made using the “formula,” but I’m okay with that (less bulk, less to bunch up when opening them). 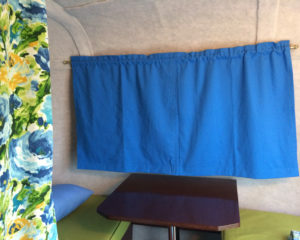 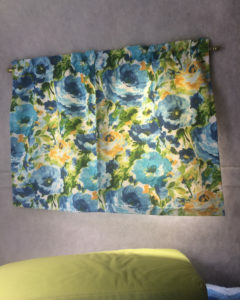 I’m still trying to decide if I want to use a lower curtain rod to help hold these closer to the front curved wall, but I could also add a couple of pieces of Velcro on the bottoms of all of the curtains since tiny Velcro tabs will stick to the fabric on the walls. 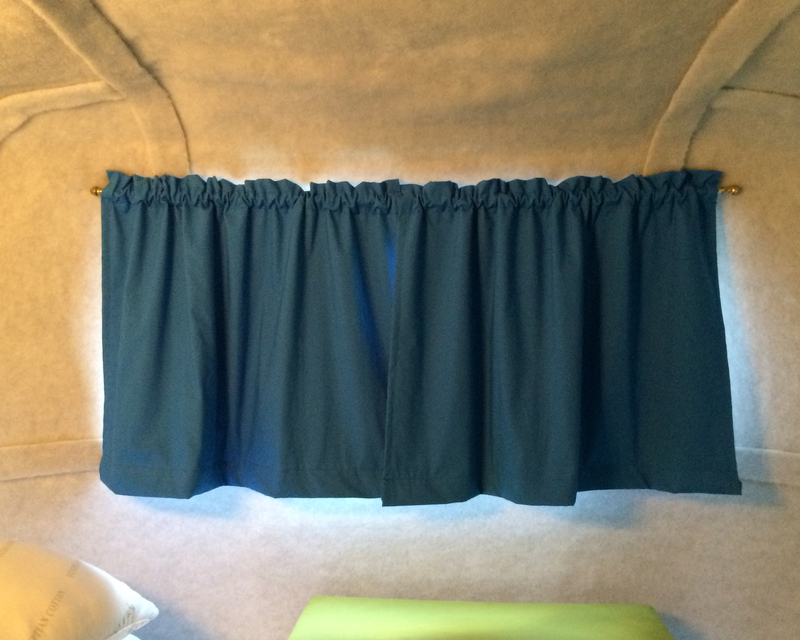 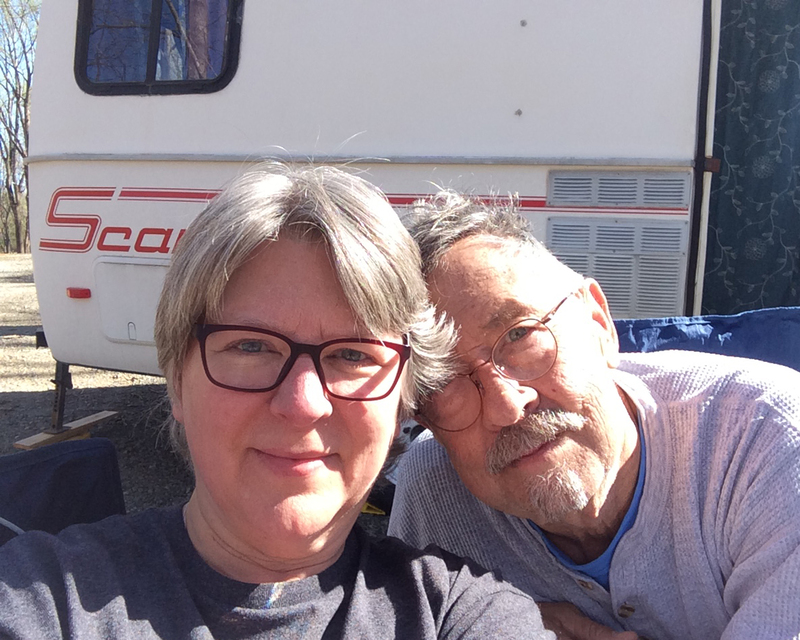 Previous Post “It’s Like Déjà Vu All Over Again” – Curtains for the Scamp…. 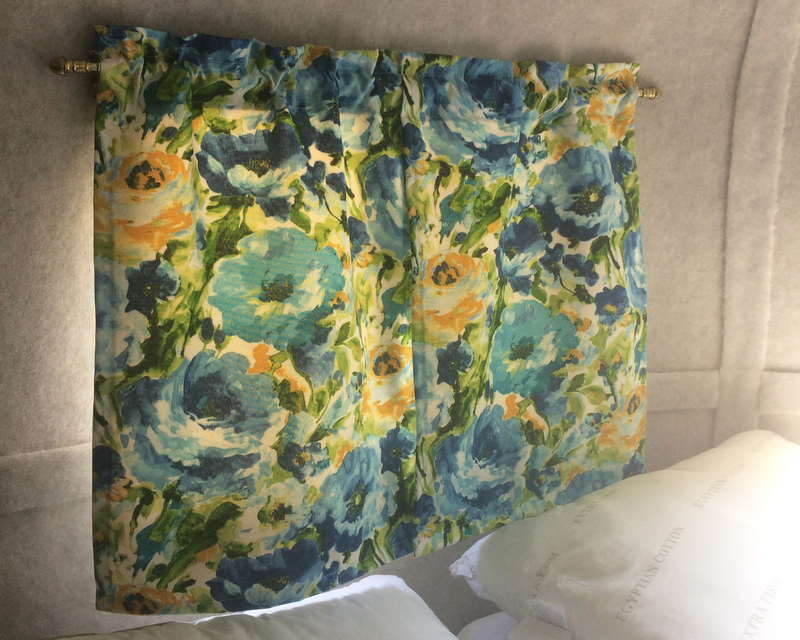 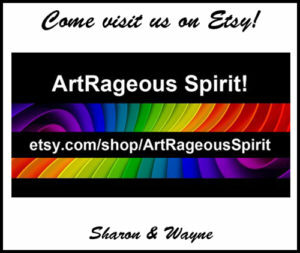 Next Post I Get These Ideas……!